Montenegro is hardly a great shopping destination, but there are a few local products that make good gifts to bring home. Top of the list has to be wine – a bottle of velvety red Vranac being the obvious choice. For something a little stronger, pick up a bottle of potent rakija – there are numerous kinds, ranging from loza (made from distilled grapes) to šljivovica (made from plums) and kruškovac (made from pears). Other unusual presents include pršut (smoked ham) which you might buy vacuum-packed to make it easier to pack, and strings of dried figs, threaded onto a piece of cotton and interspersed with bay leafs. Montenegrins swear by the health benefits of their locally-produced med (honey), which is especially tasty when bought direct from producers in the mountainous interior – some beekeepers also sell other products such as honey with propolis, beeswax candles and honey-based cosmetics. Dried herbal teas are regarded as medicinal in Montenegro, so you might buy kadulja (sage) for sore throats and coughs, metvica (mint) to sooth indigestion and nausea, or kamilica (chamomile) to calm the nervous system for a sound night’s sleep. Clothes and shoes are generally imported, so you won’t find anything particularly unusual. But, for quirky one-off items of clothing and accessories, try the small luxurious (and very expensive) boutiques at Porto Montenegro in Tivat, several of which stock the works of young up-and-coming Montenegrin and Serbian designers. Town markets sell locally-produced fresh seasonal fruit and vegetables, cheese, meat and fish, as well as cheap clothing and household goods. Herceg Novi's old town is renowned for its jewellery shops and artists' galleries. Podgorica has a wide range of clothes shops and shopping centres. Mon-Fri 0900-2100, Sat 0800-1500 (many shops are open all day Sat). Grocery stores open at 0600. Shops in tourist resorts often stay open until midnight in high season. Some family-run shops close for siesta 1400-1700. 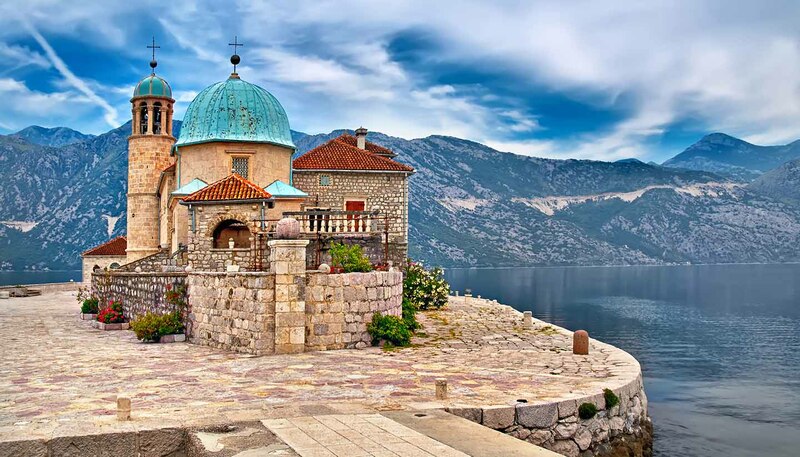 For most visitors, nightlife in Montenegro is all about open-air dining, drinking and dancing by the sea. If you’re travelling as a couple, there are some stunningly romantic venues. Budva has the glitziest nightlife scene, catering for wealthy young holidaying Serbs and Russians, who can be found at the string of open-air bars and clubs that line the coastal path east of town, past the marina. Here they serve cocktails, play loud turbo-folk (Serbian pop music with Turkish influence, prevalent throughout the Balkans) and have girls in bikinis dancing on podiums until 0500 in peak season. The country’s most extravagant venue has to be Top Hill (www.tophill.me) Located on a hillside, 600m (1970 ft) above sea level, it’s a 25-min drive from Budva. Able to host 5000 revellers, making it one of largest open-air clubs in Europe, it attracts world-class DJs, playing mainly electronic music, plus a glamorous slickly-dressed see-and-be-seen clientele. It works through July to August only. Up the coast in Kotor, there’s a similar buzz, with late night bars playing loud techno into the early-hours in the car-free old town. The biggest venue here is Maximus, with several dance floors spread over three levels, and a capacity of over 4000. Like Top Hill, it regularly hosts big name DJs, and also stages the annual three day Refresh Festival of electronic music. If you’re looking for something more sedate, you’ll find various cultural events in several other medieval towns along the coast, with concerts and theatre performances below the stars during the summer months.